With conductor Fabien Gabel (Ronde burlesque, Québec City, Canada, 2017). Not surprisingly, his first exposure to Schmitt’s music was the composer’s most famous work, La Tragédie de Salomé, in Paul Paray’s classic reading with the Detroit Symphony Orchestra. 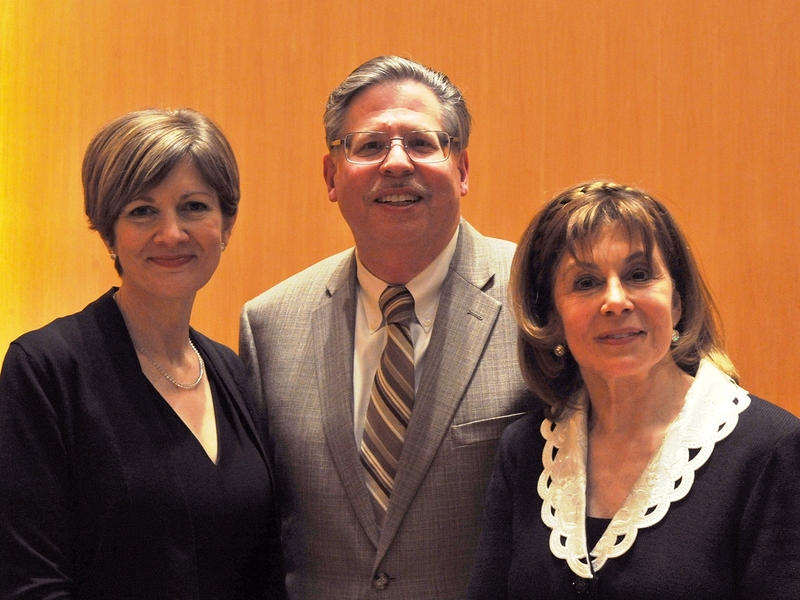 With conductor JoAnn Falletta (Antoine et Cléopâtre + Le Palais hanté, Buffalo, NY, 2015). Wanting to hear more of this composer’s music, it soon became apparent that precious few works had ever been recorded – and fewer still were available in the United States. But perseverance won out, and the musical rewards were many — in Robert and Gaby Casadesus’ Columbia recording of Schmitt’s music for duo-pianists … Georges Tzipine’s recording on EMI/Angel of the monumental Psaume XLVII (with soprano Denise Duval and organist Maurice Duruflé heading up an impressive cast of players) … and Désiré Dondeyne’s stunning Calliope recording of Dionysiaques, leading France’s premiere wind ensemble, the Musique des Gardiens de la Paix. 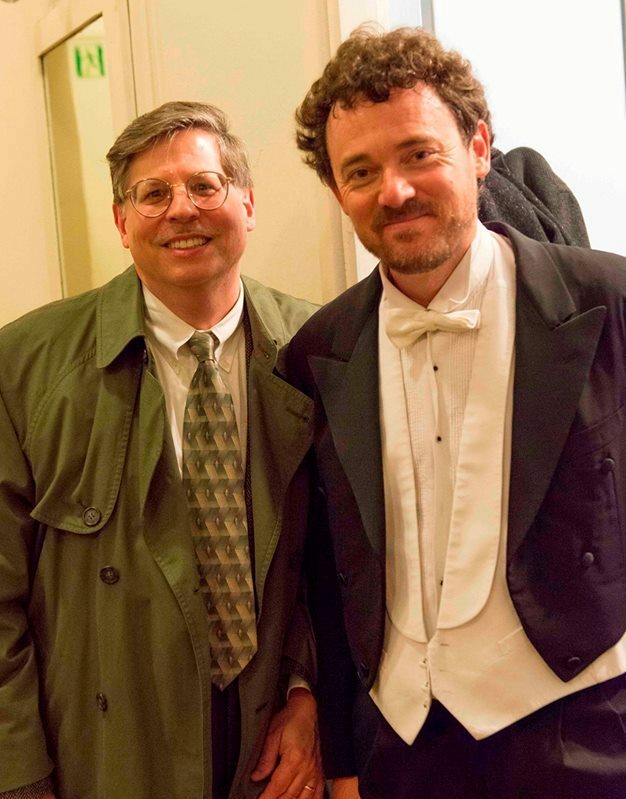 With conductor Jean-Luc Tingaud (Psaume XLVII, Krakow, Poland, 2016). In recent decades, many more works of Florent Schmitt have made it to the microphones – and each new release has proven again what a wealth of creative material resides within the composer’s output. Even better, Schmitt’s music is being performed more frequently in the concert hall and in recital, thanks to the efforts of conductors Alain Altinoglu, Leon Botstein, Lionel Bringuier, Stéphane Denève, JoAnn Falletta, Fabien Gabel, Jacques Mercier, Yannick Nézet-Séguin, Jean-Luc Tingaud and Yan-Pascal Tortelier … pianists Bruno Belthoise, Claudio Chaiquin, Leslie De’Ath, Andrey Kasparov, Tomer Lev and Oksana Lutsyshyn … the list goes on. 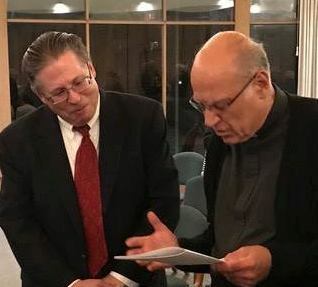 With pianist Alain Lefèvre (Sonate libre, Virginia Beach, VA, 2018). Still, Florent Schmitt’s music remains relatively unknown to many classical music afficionados – even among people who love the music of Schmitt’s French compatriots Debussy, Ravel and others. And there’s even less understanding and recognition of the substantial influence Schmitt had on many composers of his generation. These factors were the inspiration for the Florent Schmitt website and blog. Its author, Phillip Nones, is not a professional musician — although he played piano and percussion through his college years and in civic orchestras for a number of years thereafter. With conductor and keyboard artist Fr. Eduard Perrone (Pour presque tous les temps, Detroit, MI, 2018). These days, he indulges his musical interests through intensive listening, attending concerts, and supporting the organizations that bring great music before the public. He is also a critic for the U.K.-based classical music e-zine Bachtrack. 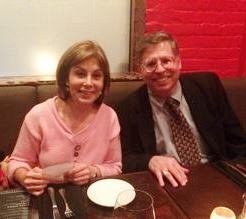 In his professional life Phillip Nones studied economics and business administration, earning a B.S. degree at Vanderbilt University and an M.B.A. degree at the Thunderbird School of International Business. 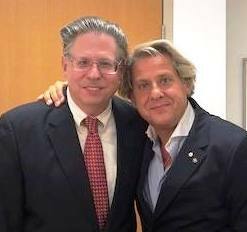 He is president and director of client services at Mullin/Ashley Associates, Inc., a communications, PR and market research firm. Established in 1978, Mullin/Ashley supports commercial, industrial, business-to-business and healthcare industry clients that market their products and services on a regional, national and international level. 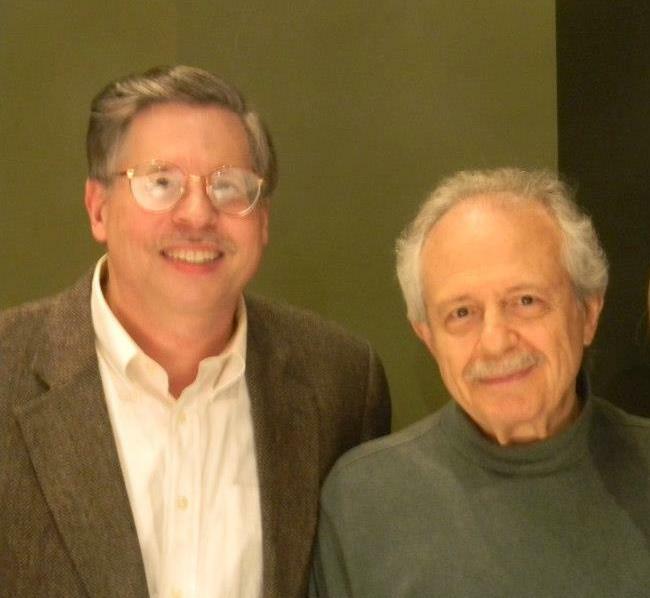 With conductor Jorge Mester (La Tragédie de Salomé, Virginia Beach, VA, 2012). His other blog, NonesNotes, which he has published since 2009, focuses on business, marketing and socio/cultural topics. The opinions expressed are those of Phillip Nones. The information provided is on an as-is basis, and no representations as to accuracy, completeness, currentness, suitability, or validity of any information on this blog is made, nor any liability for any errors, omissions, or delays in this information or any losses, injuries, or damages arising from its use. © 2012-2019 by Phillip Nones. The written content on the Florent Schmitt Website + Blog is protected by copyright. Reproducing any portion of this website without specific attribution and/or written permission of the author is prohibited. I am intrigued by your notes on “Janiana” and wanted to report that I am considering programming this music with my orchestra. I just discovered your blog — thanks for it! I, too, discovered Schmitt as a young teen, with his Psalm 47 (Martinon recording), which was one of the works we had to study and present at the music option for the Baccalaureat (in 1979). I was lucky to hear one performance live, but I’d run almost anywhere to hear another one in good conditions. It would make a perfect Proms performance! So, kudos to Mr. Willem de Bordes (above)! So nice to welcome you to the Florent Schmitt blog, Mr. Butruille. I am familiar with your 1979 baccalaureate program, as I actually own the EMI LP for that program that includes Psaume XLVII. I’m curious if the performance of the Psaume you attended was the one done by Jeffrey Tate in Paris, with Inva Mulla as soloist. I’ve heard reports that the interpretation was a bit disappointing (too sluggish). Still, it’s always a great event when this piece is programmed. I have been fortunate to see it performed twice — once in New York City and once in Washington, DC. As you stated, it is definitely worth traveling a distance to see! I can empathize with your frustration about the propensity of conductors and programmers to focus almost exclusively on the most famous composers and compositions. Still, there are a number of conductors who are championing the music of Florent Schmitt and his contemporaries in the concert hall — among them Lionel Bringuier, Stéphane Denvève and Alain Altinoglu who have programmed La Tragédie de Salomé in recent years … and JoAnn Falletta who has programmed Antoine et Cléopâtre and will be performing Le palais hanté next year. Yes, it was indeed Jeffrey Tate’s performance with Inva Mula. And it was indeed “sluggish” (and I was suffering for the poor soprano, who had to drag her musical lines to the unbearable limit!). I am interested in the friendship between Florent Schmitt and the great 20th century English composer Ralph Vaughan Williams. I think they must have first met when RVW was studying with Ravel in Paris 1908. There is, of course, a well-known photograph of the two composers taken in 1957. Crépuscules is dedicated to RVW and I have read that they enjoyed a life-long friendship. Do you have any information about their relationship? If so I would be delighted to hear from you. I am hoping to write a piece on Schmitt for the October edition of the Vaughan Williams Society Journal. Thank you for your question. I am familiar with the personal relationship between the two composers, but I don’t know much beyond the fact that they knew one another. It’s my understanding that it was a personal relationship rather than a professional one, as compared to the collaboration between Schmitt and Frederick Delius, a topic which has been covered on this blog post here: https://florentschmitt.com/2014/04/20/a-surprising-collaboration-and-friendship-florent-schmitt-and-frederick-delius-1894-1934/. Let me do some digging and see if I can find out some information to share with you. Again, thanks for reaching out. Thanks. I have been unable to find anything in the various biographies of RVW. Crépuscules is such a great work, and for Schmitt to have dedicated it to VW was a great gesture. Tonight I will conduct “La Tragédie de Salomé” in Sibiu, Romania with the local orchestra. If at all, this work hasn’t been performed here in Romania for a very long time. Nobody has even heard the name of Florent Schmitt — and this in a country that has always been close to French culture. So I think it was time. There won’t be a choir, but we’ll do it with a Soprano soloist. The orchestra and everybody listening to rehearsal loves the music. No surprise for us Schmitt lovers! Thank you for writing, Maestro Rabl, and informing us of the latest concert performance of Schmitt’s “Salome.” It may well be the Romanian premiere performance. I hope it proved to be a great success. Have you done the piece elsewhere as well? On a personal note, I played in the concert hall in Sibiu when my American youth orchestra (the Minnesota Youth Symphony) concertized across Romania in the summer of 1973. The Sibiu concert we played included Mussorgsky’s “Pictures at an Exhibition” along with music of Copland and Sibelius. 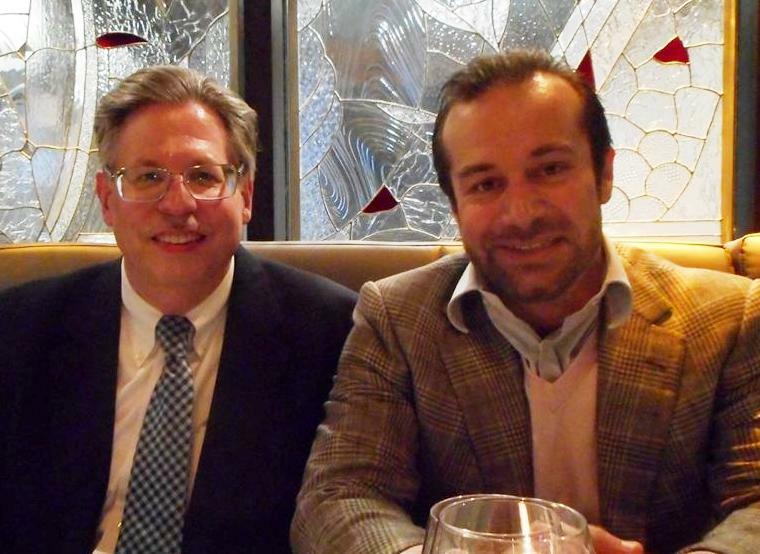 Good to see your Florent Schmitt blog and especially the photograph of Schmitt and Felix Aprahamian. My wife and I have just finished a book on Felix Aprahamian for Boydell Press due out next May and we would love to include that picture. Can you advise where we get a hi-res scan and permission to use? So nice to hear from you, Mr. Foreman. I am a big fan of your books, including the one on Sir Arnold Bax. Yes, I can put you in touch with the photographer. Congratulations for your site! I share your admiration for Florent Schmitt. A former student of the Conservatoire de Paris (CNSMDP), I chose “La Tragédie de Salomé” for my prize work of analysis. Yesterday, I have conducted “La Tragédie de Salomé” in Schlosstheater Schönbrunn in Vienna, Austria, with the Slovak Philharmonic Orchestra. As far as I am informed, the work might have received its Austrian premiere (please correct me if it is not true). Surprisingly, most people in Austria have never heard of this wonderful composer … but the piece was extremely well received. Many people described it as a ‘discovery’. Congratulations on your amazing blog and thank you for sharing so much precious information! I’m a huge fan of your blog (as well as Florent Schmitt). I love reading through these highly informative posts on his works. Recently, I’ve begun uploading some of his piano works with scores to YouTube in order to introduce more people to his works. So far, I have uploaded Ombres and Mirages. I’ve just discovered a collection of choral pieces by Schmitt – Cinq Motets / Messe / Psalm VIII /Laudate, pueri, Dominum – very fascinating they look, too. Do you know if they have been recorded? I’d certainly be interested in looking into the possibility of doing a recording myself. Thank you for your enquiry about these choral works of Florent Schmitt. I can provide information about three of them. Cinq Motets, Op. 60, dates from 1917 and to my knowledge has never been recorded. The Messe en quatre parties, Op. 138 is Schmitt’s final composition, completed just a few months before his death in 1958. A performance of this music was made available by the French Broadcasting Service as part of its “Music From France” radio series offered to radio stations in North America during the 1960s and 1970s. To my knowledge, that performance has not been released since. As for Laudate, pueri Dominum, Op. 126, this 1952 work for mixed chorus was included on the same radio program as the Mass, above. Again, I have no evidence that the performance has been released subsequent to then. I am not familiar with Psaume VIII. Can you provide more information, such as an opus number or year of composition as noted on the sheet music? I may be able to find out more based on this additional data. It is welcome news to know that you may be interested in performing and recording these works. Schmitt was one of the most important composers of choral music during the 20th century, and much of it still awaits rediscovery. Thank you for your interest! What a fantastic, thorough resource! I’ve always been deeply interested by the music of 20th century French composers (with a real focus on Roussel) and have known Schmitt’s music peripherally. But after stumbling on the Suite en rocaille, I’ve taken an active interest in his music and am finding it fascinating to no end. How wonderful to have this page as a resource into the mind and works of an unjustly neglected composer. Thank you! Thank you for your kind words. The purpose of the website is just that — to be a resource for performers and music-lovers to learn about Florent Schmitt’s impressive musical legacy. I hope you’ll find much to savor here. Bravo pour votre remarquable travail sur ce musicien exceptionnel ! De rien, mon cher monsieur ! Il a été fascinant de rechercher et d’écrire sur ce compositeur remarquable – l’un des plus grands de l’âge d’or incontesté de la musique classique en France. I am happy to report that I have at long last completed editing the Deux Pieces for chromatic harp by Schmitt for pedal harp, after several years of intensive labor and revisions. It is now ready for publication. I feel lucky enough to have visited your site. I was wondering if you could suggest me some books for further reading (specifically for Florent Schmitt). Thank you for your kind words. There have been four books published about Florent Schmitt and his music – all of them in French. The earliest one dates from the 1920s and was written by Schmitt’s former pupil, the composer Pierre-Octave Ferroud. The title of this book is Autour de Florent Schmitt and it was published by Durand. In 1953, Yves Hucher wrote a more extensive biography of Schmitt that also contained extensive coverage about his compositions. This book was published in the series “Amour de la musique” by Éditions le Bon Plaisir. In 1960, two years following the death of the composer, Durand published a complete listing of Schmitt’s compositions along with a biographical sketch of the composer penned again by Yves Hucher – and this book includes an English translation of the biographical sketch. It also includes coverage of Schmitt’s late compositions created between 1953 and 1958 that were not in the 1953 volume. This book’s title is L’oeuvre de Florent Schmitt. More recently, Catherine Lorent has written a short biography of Schmitt that was published in 2012 by Bleu Nuit. Unfortunately, it is not nearly as detailed in terms of its coverage of Schmitt’s music, although it is certainly more contemporary and there are more photos and illustrations. Lastly, I should mention that the French pianist Alfred Cortot included an entire chapter on Florent Schmitt in his series of books analyzing French piano music. The chapter on Schmitt is included in Volume II of the series. I hope this information is helpful. At this time, I believe that all of these books are available from online sellers in either new or used condition. Please contact me again with any follow-up questions. I’m very thankful for this. Thank you so much for responding to my question in such a detailed comment. Have a nice week Mr. Nones.